Since 1926, the Wolff Insurance Agency has been providing insurance advice to our valued clients in the areas of: Automobile, Homeowners, Life, Health, Umbrella and Recreational Vehicle Insurance. As an independent agency, we have access to a broad array of companies, allowing us to provide you an unmatched combination of competitive price and coverage that cannot be found elsewhere. Whether you are a perfect driver or require a state filing SR-22, our experienced insurance agents can find the right balance between cost and protection that is specific to your needs. Contact us to find out what over 80 years of insurance experience can do for you. 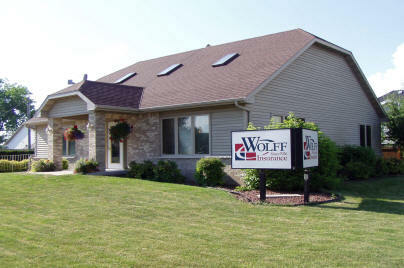 Copyright © 2008 Wolff Insurance Agency. All Rights Reserved.